Posted on September 1, 2018 by Rebecca V.
When I first grabbed this book, the color stood out to me on the New shelf. I read the inside cover, and it sounded like a good read. I wasn’t disappointed. I love reading good books with a lot of music involved. The Falling Between Us is a story about Joshua Blackbird, a boy from a small town who becomes famous with YouTube. At first, I was getting a Justin Bieber vibe from it. The story is told from the perspective of Roxanne Stewart, who is his best friend and ex-girlfriend. She’s been on tour with him. But the fame isn’t all fun and games, and the glamour of what it looks like. Joshua starts having to deal with the bad side of fame. Between the crazy fans and paparazzi, the evil family and management, and his “girlfriend” for the press, who can he trust? Roxanne met him when she was six, but didn’t really meet him until their 9th grade English class. Now, Roxanne and Joshua’s drummer, Speed, are his only two true friends. One night on a boat, Joshua swims off and after a long search, is announced dead. Roxanne is devastated. Is she able to piece all the clues together before it’s too late? This isn’t your typically story of when a teenager becomes famous and gets tired of it. I would have to say that some parts of the ending were not written well, but overall this was a good read. For the second book by author Ash Parsons, I wasn’t disappointed. 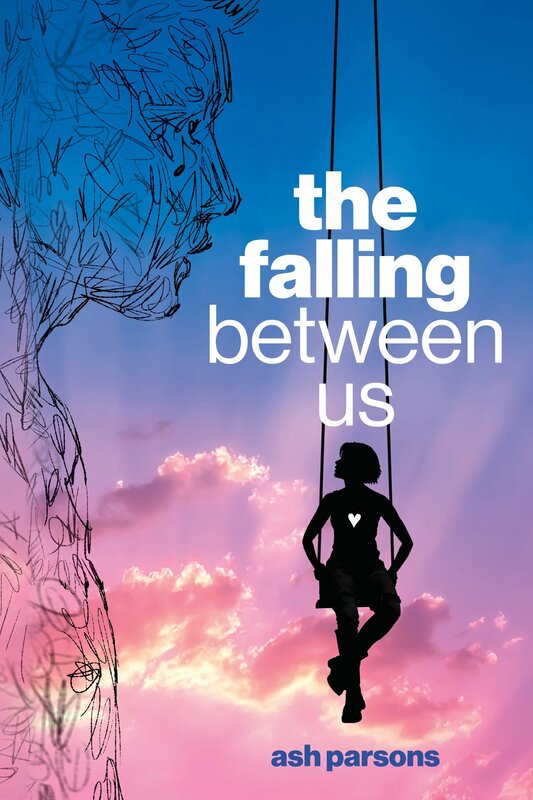 The Falling Between Us by Ash Parsons is available for checkout from the Mission Viejo Library. This entry was posted in Book Reviews and tagged ash parsons, dealing with fame, death, music, relationships by Rebecca V.. Bookmark the permalink.